Today stethoscopes are a typical fixture around doctors’ necks. They are commonly used to listen to the sounds of the heart and lungs as well as the flow of blood during blood pressure readings. 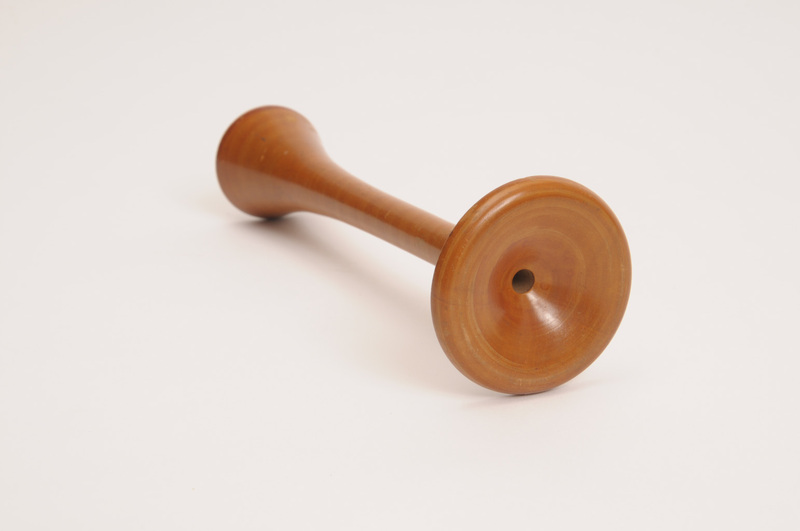 The practice of percussion and immediate auscultation were popular in physical examinations by the early 1800s. In immediate auscultation, physicians placed their ear directly on the patient to observe internal sounds. A French physician named Rene Laennec (1781-1826) was a firm believer in this method of diagnosis. He worked to refine the auscultation procedure and link the sounds with specific physiological changes in the chest. Immediate auscultation could be an awkward procedure, particularly for female patients. In 1816, Laennec found himself in one of these situations. He rolled a few sheets of thick paper into a tube shape and applied the tube to the woman’s chest instead of his ear. Later, he made a more durable instrument out of wood and called it the stethoscope. 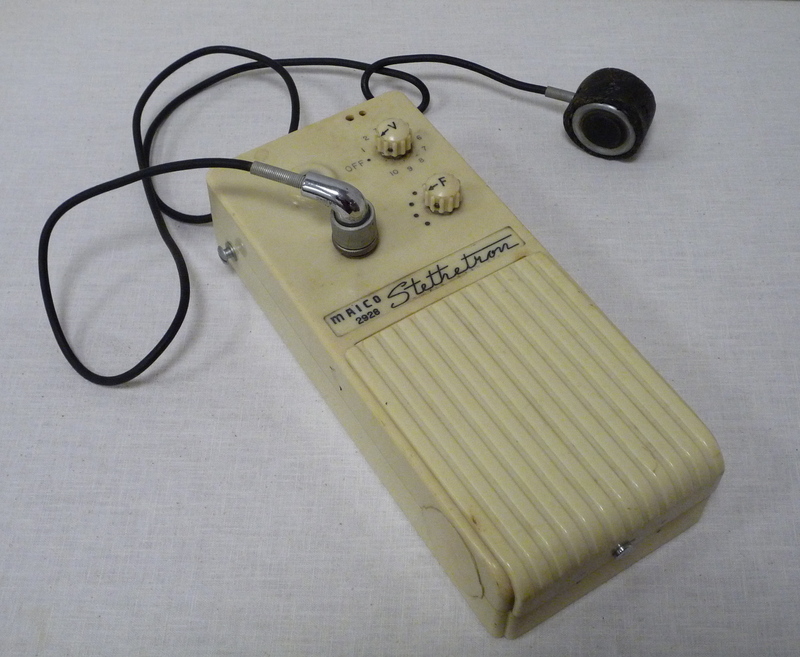 It was a monaural model that consisted of one tube and was used on one ear. The first practical bi-aural stethoscope was made in 1851. Flexible tubing is required to make a stethoscope that allowed physicians to use both ears. While many physicians readily adopted monaural stethoscopes, the bi-aural stethoscopes were met with some skepticism. Doctors worried about hearing imbalances caused by using both ears instead of one. For this reason, many doctors continued to use monaural stethoscopes into the early 1900s. 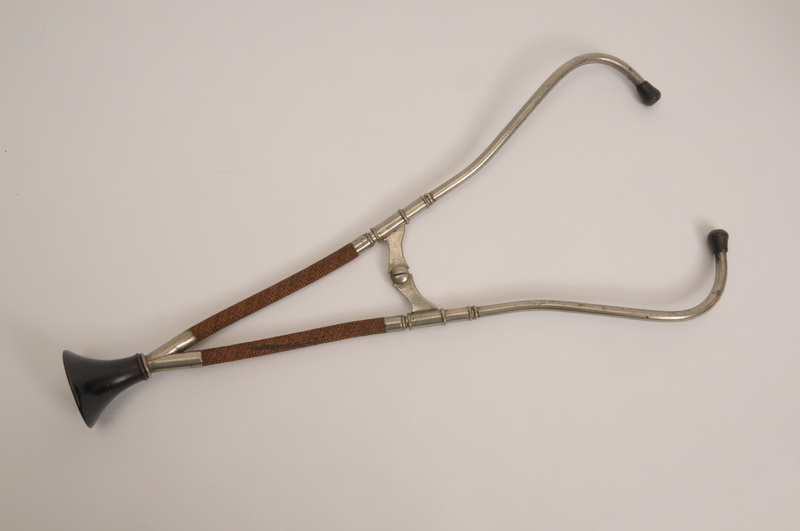 The stethoscopes used today are very similar to the ones used in the 1930s. New materials such as flexible rubber, stainless steel, and tygon make them lighter and easier to use. The bells (the end of the instrument applied to patient’s body) have also become flatter. The application of electronic amplifiers to the stethoscope provided the next major modification. These stethoscopes amplified the sound heard by the physician and were capable of filtering high pitched tones in order to make faint tones louder. Some electronic models could provide visual or audio recordings that could be used in training or consultation as well. Thanks for sharing this article! I didn’t know very much about the history of stethoscopes before, especially that monaural stethoscopes were used for so long. Great old pictures by the way! That was a great walk down the memory lane regarding the history of stethoscopes and where they come from. With electronic stethoscopes prone to replace acoustic stethoscopes in the near future, i guess we’ll see current models joining the ranks of historical artifacts soon. Thank you for this well written article regarding the stethoscope’s history. It’s amazing to see how far technology has progressed since then, i am amazed that you managed to find pictures of these older models. I might be able to tell you what they are if you send pictures.